Get practising your punching technique and enhancing your skills and movement with the Carbon Claw Arma AX-5 3ft synthetic leather punch bag. The 20mm foam lining provides real response and feel with each hit, and the compressed cloth material interior forms the resistance that helps you build up strength. 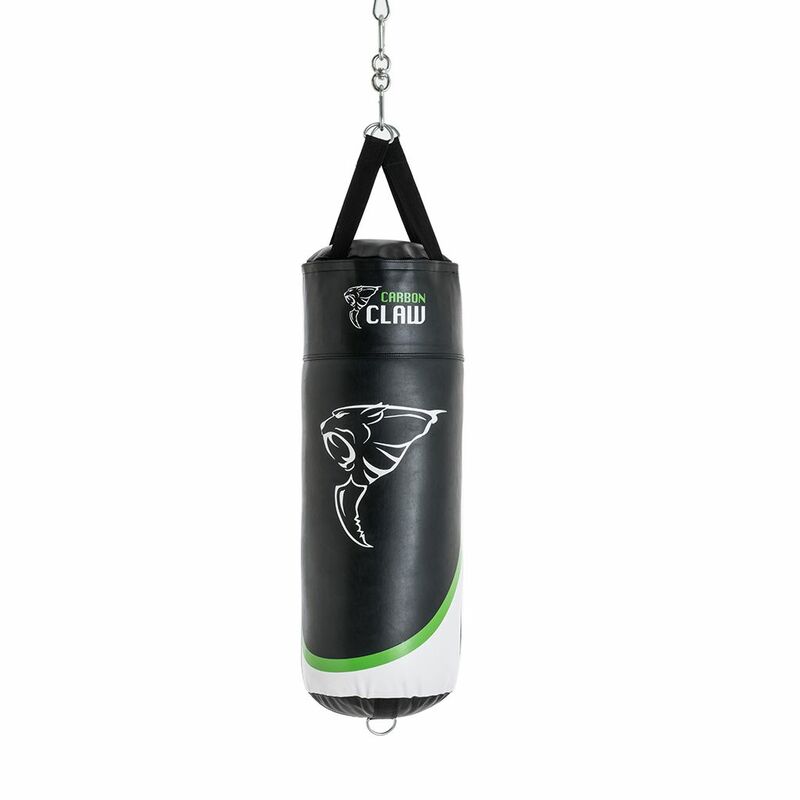 The punch bag is very durable thanks to its strong cross-fibre synthetic exterior, and the 4 metal D-rings and 4 heavy-gauge webbing straps let you hang and hit the bag in confidence and safely. The top cover has a heavy-duty zipper and the additional D-ring at the base of the bag means you can fix extra weight to it or stop the bag from swinging too much during heavier sessions. 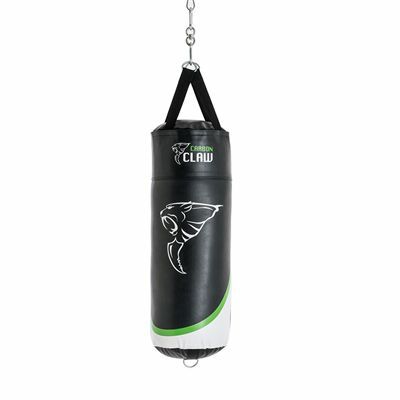 for submitting product information about Carbon Claw Arma AX-5 3ft Synthetic Leather Punch Bag We aim to answer all questions within 2-3 days. 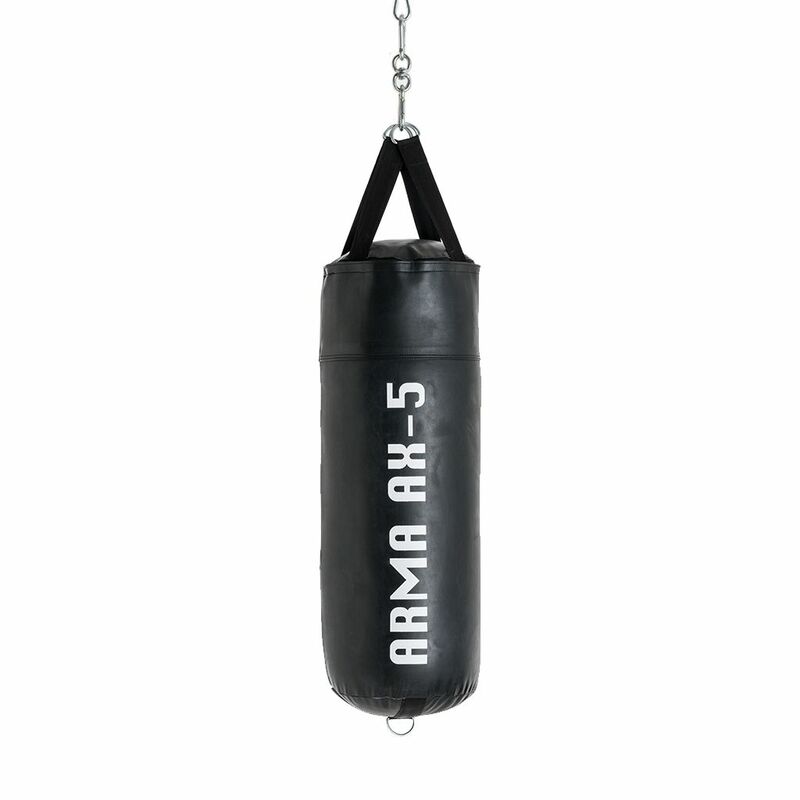 for submitting product information about Carbon Claw Arma AX-5 3ft Synthetic Leather Punch Bag. We aim to answer all questions within 2-3 days. If you provided your name and email address, we will email you as soon as the answer is published. for submitting product review about Carbon Claw Arma AX-5 3ft Synthetic Leather Punch Bag.